Somehow, someway, I convinced the family to return to the weird dice, fumble tables, and corruption-filled game of Dungeon Crawl Classics. Although my middle daughter Evie picked up her Rapunzel character sheet with a bit of trepidation, the DCCRPG really seems to be growing on my eldest. Carrie's a regular in our local game club events, and just last week played in a Crawling Under a Broken Moon game session. Before I get into the meat of this post, I just want to note that it's broken up into several parts. There's a brief intro about running the game (you're reading part of it now!) 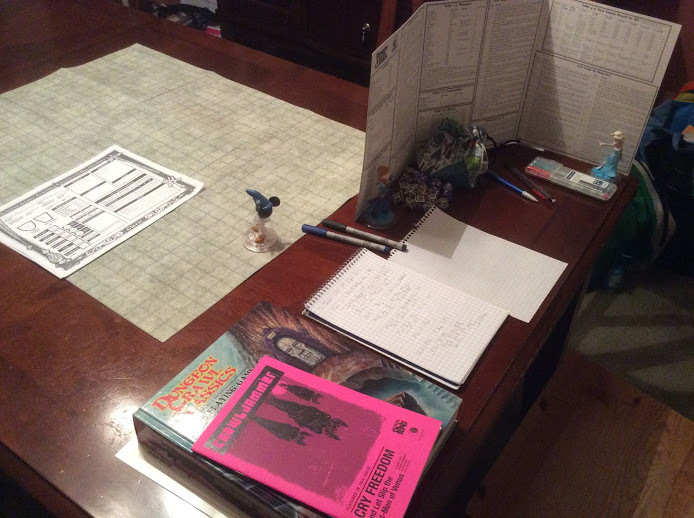 followed by how we handled the 1st level characters, a play report, and then some behind the scenes info (rules modifications, a dragon named Voracious Steve, you get the point). So if you get bored with play reports and just want to skip to the mechanics, just keep scrolling and you'll get there. We've been planning our Disney vacation for several weeks now, and everyone is this house is in "Mouse Mood." Disney TV, Disney movie marathons, Disney outfits, Disney music… at this point it's coming out of our pores! In the middle of all this celebration, I started hinting at a return to those 0-level heroes from our two sessions of When You Wish Upon a Starless Sea. Over the summer I tortured my family by making them choose classic Disney characters, and then I forced those poor souls through +Harley Stroh's unforgettable Sailors on the Starless Sea. One by one, my family's favorite characters died horrible deaths as they faced off with beastmen cultists in a cursed fortress. Oswald the Lucky Rabbit, Alice from Wonderland, Flynn Rider, Snow White, Doc, Quasimodo, Aladdin and Jasmine, and Professor Doofenshmirtz… all dead. Running a bunch of 0-level characters can be a lot of tun, but once a character reaches 1st level they require quite a bit more attention. For that reason, I wanted to limit the number of characters each player had in front of them to one. This was a welcome change to my kiddos. Carrie stated that this was "more like a 'regular' role-playing game." I thought that was a funny comment! Each player can have up to three characters on their character tree. Players can acquire new characters as they meet NPC's during the course of the campaign. … they were now heroes! During their adventure four of the characters found hidden power within themselves, and unlocked their true potential. 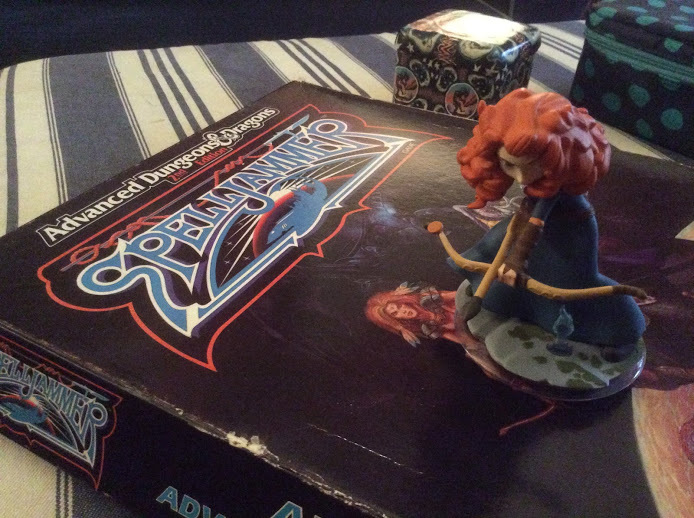 Merida led the team as a sharp-eyed Warrior. Rapunzel joined forces with a mysterious deity of nature to become a Cleric. Phineas' chaotic tendencies were a perfect fit for his new Thief abilities. Finally, Dark Mickey would make his master Yen Sid proud by becoming a Wizard. The boat was moving slowly through an underground pool for several minutes, but then it started to fall down a seemingly endless hole. The team couldn't just hold onto the boat and do nothing, however, as a swarm of deadly bats followed the boat down the hole, biting and tearing at everyone's flesh. Phineas wasn't about to get eaten by bats, and the thief grabbed his crossbow and let loose several quarrels. Soon, bat-kabobs fell to the deck! Rapunzel tried to heal some of the wounds caused to the party but failed in petitioning the neutral gods of nature to hear her plight. At least Dark Mickey had a sleep spell ready to go. Summoning the negative energies within himself, the mouse beckoned each of the bats to fall to the deck and take a nap. Luckily the bats listened. Once on the deck, Phineas and Merida lobbed them over the side of the boat. That's when the boat struck ground! Using his glowing skull, Dark Mickey shed some light on the small chamber that was at the bottom of the deep hole. The cave was barely large enough to fit the wrecked boat. The only noticeable feature in the room was a small pool to the north. Merida tossed a skewered bat-kabob into the pool and the corpse seemed to sink fairly far. Exploring more closely Merida believed the pool to lead to another chamber potentially, but would need some light to be sure. … no one trusted Dark Mickey! "Fine, I'll go… ha ha," Dark MIckey exclaimed as he jumped into the pool. The mouse wizard swam about thirty feet before surfacing in a much larger chamber. The chamber was over a hundred feet in diameter and contained a massive underwater lake surrounded by a stoney beach. A strange wasp-shaped craft floated in the center of the lake, crewed by slowly moving creatures. The glowing skull couldn't reach far enough to illuminate the craft's deck, but it did allow Dark Mickey to notice another figure on the beach to the east. Relaying this information back to the rest of the team, Rapunzel, Phineas, and Merida all swam through the underwater passage. The figure on the beach hadn't noticed the heroes yet, as it's back was turned. Phineas took this opportunity to sneak up and approach the figure. When the thief got close enough, he made his presence known, only to be greeted by a jovial Lizardman Mercenary. … it was the evil dragon prince Voracious Steve! Voracious Steve took control of the Slack Squirrel and forced Cap'n Zack's crew to consume cursed slushies, turning each of the lizard men into mindless zombies. Cap'n Zack was bound and stuffed in a barrel for later consumption. Unable to control the spelljamming craft without a helmsman, however, the Slack Squirrel crashed here on Earth and Cap'n Zack escaped. Cap'n Zack was alive, but he'd need to find a way to climb out of the cave on his own, as he was not powerful enough to face the dragon. But with the party's help, perhaps they could defeat Voracious Steve together and take back the Slack Squirrel! Merida noted to Cap'n Zack that Phineas was a master of disguise. 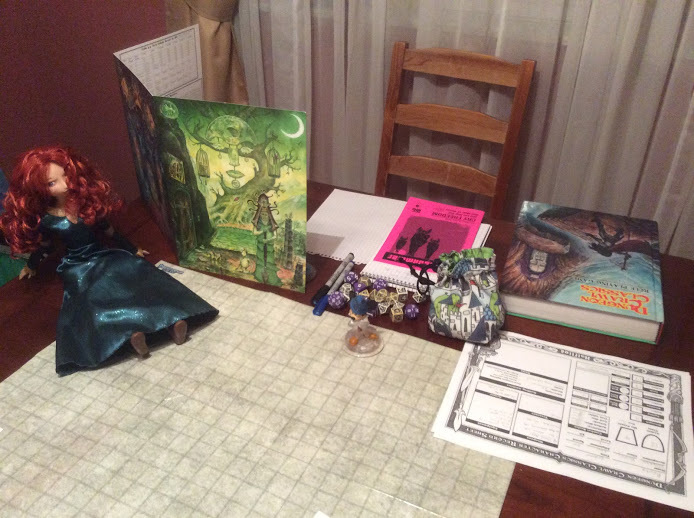 Perhaps the party's thief could sneak aboard the craft pretending to be a lizard man zombie. Once he was close enough to the dragon, he could strike a deadly blow! The rest of the party was okay with this plan, and using some fish heads and bodies pulled from the pool, Phineas made himself up to look like a zombie lizard man. The thief boarded the Slack Squirrel at the front of the vessel, followed closely behind by the rest of the team. Carefully Phineas moved into the center of the vessel, down a long corridor towards the ship's cargo hold. There, a small dragon, about the size of a house cat, commanded four zombies to repair the damaged vessel. "Work, work, my evil minions of death!" Voracious Steve squeaked. "This vessel must fly again so that we can conquer this world!" Voracious Steve then pointed at Phineas. "You, zombie minion, come here and help with these boxes!" The disguise worked! Phineas inched closer to the tiny dragon and prepared to strike. Just thirty feet away the rest of the team prepared themselves. Merida pulled out a battle axe and Rapunzel clutched her holy symbol. Dark Mickey was busy cutting away a piece of his ear to cast a terrible spell: Chill Touch. This spell required the Wizard to Spellburn, sacrificing mouse flesh for more power. The notch from his ear would guarantee a truly terrible spell-effect. Once everyone was ready they gave Phineas the signal to attack. The thief backstabbed the dragon, nearly slaying the creature in a single hit. "Treachery most foul!" squeaked Voracious Steve. He commanded the remaining zombies to charge the four adventurers, but was then struck by Rapunzel's paralysis spell. While Phineas and Merida were able to stand toe-to-toe with the zombies, and Dark Mickey remained at the back of the team, Rapunzel had a really hard time getting the strange nature deities to listen to her prayers a second time. Her attempt to paralyze her zombie assailant failed, so much so that she gained the disapproval of the gods. But Rapunzel's heavy armor protected her from the zombie claws long enough to "turn-undead" and force two of the creatures to flee to the back of the room. We used poker chips to mark penalties such as disapproval. Evie was not pleased. Merida's axe took down one of the beasts, and Phineas' sword another but not before both were bitten by the zombies. The lizard man teeth broke off when they struck flesh, causing severe pain and limiting the heroes' ability to fight effectively. By the time Merida pushed her way past the last decapitated zombie the battle was over. Dark Mickey just finished using his Chill Touch spell to completely drain the life from Voracious Steve! Cap'n Zack boarded his beloved vessel and shook the hands of all the team. The battle was won, and without Voracious Steve, the rest of the zombies collapsed. "Are you ready to fly?" Cap'n Zack asked the party. 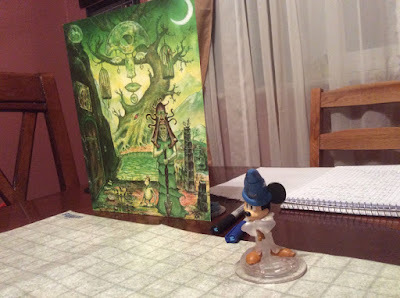 Everyone nodded, and the Lizardman led Dark Mickey to a strange golden chair. "This is a Spelljamming Helm," Cap'n Zack stated. "Simply sit in this chair and we can take off." … and then a stream of crossbow bolts flew past the Slack Squirrel as a warning shot. A pair of magic-powered, gnome-crewed biplanes appeared on either side of the Wasp-ship. The lead pilot pointed to the party's vessel and then pointed to something off in the distance. It was a strange floating island hovering in the sky. The pilot wanted the Slack Squirrel to land on the island's runway. 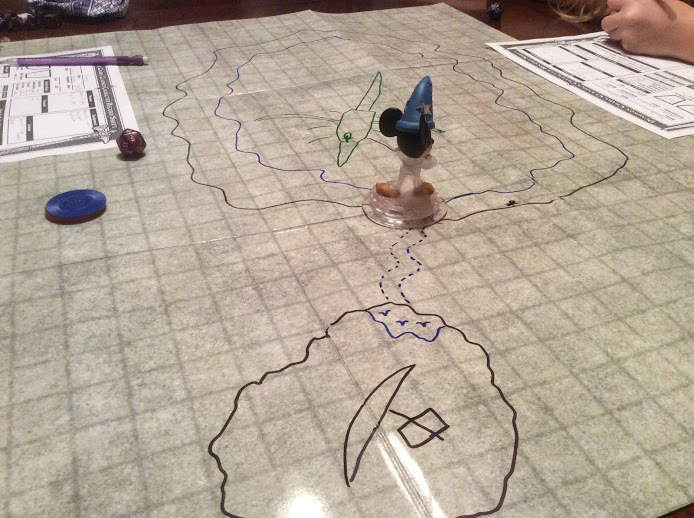 Dark Mickey complied, and flew towards the floating island, with a biplane on either side. Merida noted that each of the gnomes had their names stenciled into the sides of their craft. One called himself "Maverick" and the other "Goose." I wanted to changes things up for this next series of adventures. At Gen Con 2015 I picked up my first 'zine: Crawljammer #1 by +Tim Callahan. I was a raging Spelljammer fan back in the 1990's, and after losing most of my books during college, spent the last few years recollecting all those beautiful space-fantasy books. The idea of magical spaceships flying through the phlogiston always gave me a big smile, and Crawljammer's theme and setting definitely hit all my nostalgia nerves. "If Thundarr the Barbarian and Iron Maiden had a baby and that baby were an RPG zine inspired by Edgar Rice Burroughs using DCC rules, that baby might be called Crawljammer and it would be destined to split the moon in half with its wail of glory." Crawljammer #1 is 32 pages of pure awesome! Rules for running DCC in space, some sample ships, a basic cosmology of the Solar System, stats for Lizardman Mercenary characters (like Cap'n Zack! ), and a full adventure titled Cry Freedom and Let Slip the Bat-Men of Venus. I was fortunate enough to buy the zine when Tim was working at the Goodman Games booth at Gen Con, so he signed it for me. From what I've read so far (just #1, although I need to get my hands on the rest!) Crawljammer works great for anyone looking for Planetary Romance adventures. So whether you are a Space 1889 fan, an old Spelljammer veteran, or someone like me who believes that John Carter is a seriously underrated movie, Crawljammer is right for you. When I used to run Spelljammer, my favorite part of each campaign was the acquisition of the spacecraft. I relished that moment when the fantasy characters first realized that they had in their possession the means to go "anywhere." There are several published adventures I'd like to run in space, but first we'd need to introduce the Slack Squirrel. That meant I needed to write the adventure myself. Cap'n Zack is stranded in a deep pit. His ship was captured by a dragon after discovering it "frozen" in space. That's probably more than my initial notes actually. Since this session was going to be a "bedtime adventure", something that my wife and I put together in the last remaining hour before the end of the kids' day, I didn't need too much filler. Our typical bedtime adventure lasts between 60 to 90 minutes, so we've got to keep things moving. 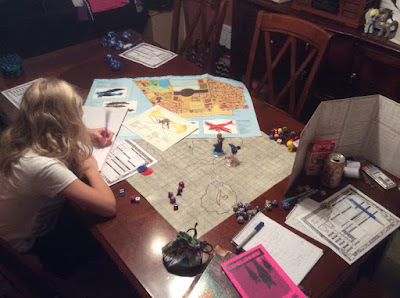 I like to start these sessions off with some action to grab my five-year-old son's attention, and then coast into some planning and problem solving before ending the night with a climactic sequence. The bat swarm encounter during the ship's long fall was unchanged from the statistics found in the book, but I did tinker with the Zombie monster entry. Brittle Bite: Lizardman Zombie teeth detach after a bite attack, causing severe discomfort in the target. Anyone bitten by a Lizardman Zombie suffer a -2 to all actions until they spend one action removing the painful teeth. Voracious Steve: Cat-sized bronze dragon; Init +1; Atk claw +2 melee (1d8); AC 11; HD 1d12 (12 hp); MV 30; Act attacks 1d20, spells 1d20; SP see below; SV Fort +1, Ref +1, Will +1; Al C.
See that picture up there? 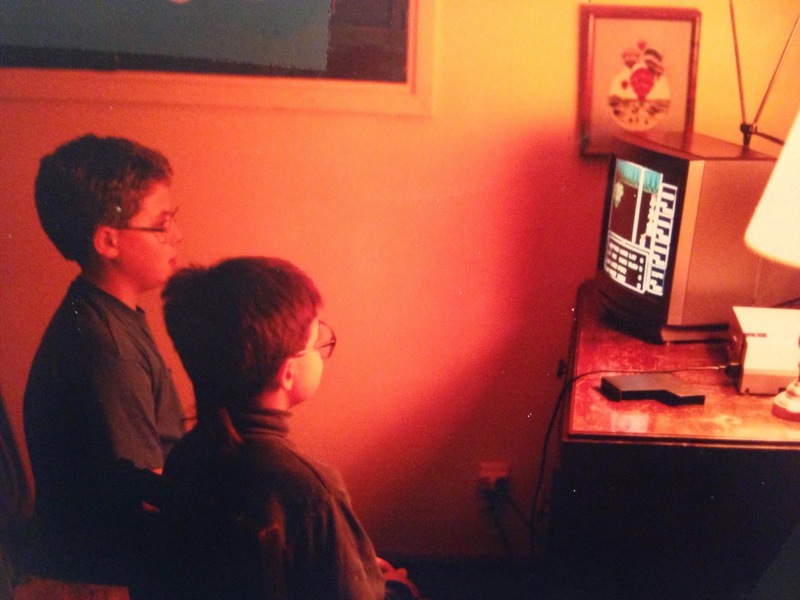 That's me (on the left) and my brother (on the right) playing the original Final Fantasy for Nintendo. I'm guessing this picture is from around 1989. At this point in my gaming career I still hadn't discovered tabletop RPG's. That part of my life would begin less than a year later. Since my discovery of tabletop RPG's occurred around the same time as my NES and early JRPG days, the two events have been forever linked. Heck, I even wrote a full blog post about the whole connection last winter. For those of you who haven't touched a Nintendo, or who shy away from console RPG's, the J in JRPG stands for "Japanese". It's safe to say that most console RPG's from Japan include anime-inspired art, main characters stricken with amnesia, and at least one anthropomorphic race or species. It's been a while since I did a full list of new occupations, but had a great time coming up with those Star Wars - Stormtrooper themed options in the spring. So I thought "why not capture that feel for Dungeon Crawl Classics games?" What I've compiled is a full list of 100 occupations, complete with starting weapons and trade goods, that can replace Table 1-3 in the Dungeon Crawl Classics Role Playing Game rulebook. Please note that while I'm the one that put the list together, many of these ideas are straight from the minds of +Paul C and +Taylor Frank, who both contributed a TON of ideas on a thread in the DCCRPG Google+ group today. Thanks guys! Also gotta give a shout-out to my daughter Carrie who came up with the Pokemon…er… I mean "Pocket Demon" occupations. Feel free to offer up some more character options, or even some ideas for additional rules. Also, if you spot any of the many dozen easter eggs in here please call them out! Two years ago I began my journey into the Ninth World with the release of Numenera. I remember being completely captivated by the concept of a world a billion years into the future. After reading through the core book cover to cover, all I could think about was getting to a gaming table and rolling some dice. My only challenge was that my regular gaming group at the time was in the middle of a Savage Worlds campaign. If I was going to run Numenera, I would have to do it as a one shot. Lucky for me that I had just founded a new gaming club, the Norwin Game Knights! Our club was only two months old, and we were preparing for our November event. I ran board games during our September and October events, but for November I wanted to break out a true tabletop role-playing game. It was the perfect excuse to give Numenera and the Cypher System a shot! 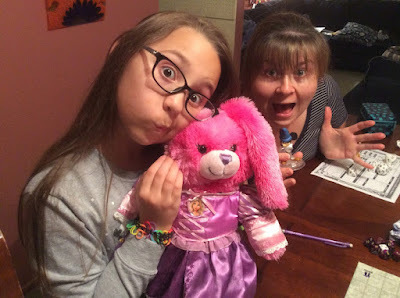 … she wanted to play The Doctor! You need to understand that our family is obsessed with Doctor Who. While we can't claim to be lifelong fans, we can draw our lineage back to November 2012. It was around that time that we ditched cable and instead started streaming Netflix in its place. We were looking for shows to watch and we started with Torchwood. I'm still a little bummed that we didn't get more than four seasons of Torchwood, but no matter. A little Captain Jack Harkness is better than no Captain Jack Harkness at all! Of course Torchwood led to Doctor Who and my wife and I began our journey like so many others with the Ninth Doctor. Soon my eldest daughter Carrie was watching and then Evie. Building Carrie's first interpretation of The Doctor in Numenera was very easy. While she wanted to pay homage to her favorite Doctor (the Tenth, David Tennant), we agreed to build something more generic. The backstory of course would be that the Doctor was stranded in the Ninth World, one billion years in the future, and needed to find a way back to the TARDIS. For this build we made The Doctor a Clever Jack who Talks With Machines. We went back and forth at the time with Jack or Nano, but given the Doctor's penchant to come up with skills and abilities on the fly, Flex Skill made a lot of sense. After two years of playing Numenera, The Strange, and now the Cypher System, I've had a lot of time to think about how I'd build the Doctor again should he (or she) decide to show up at our gaming table. If you've been a regular reader of my blogs you know that I like to keep things "rules light". Rather than come up with all sorts of alien species rules for Time Lords, I think that a little creative storytelling from players and GM's can make Time Lords fit into any Cypher System campaign. Really, this is the probably the biggest challenge to using a Time Lord like the Doctor in a tabletop RPG. When a Time Lord dies they have the possibility to regenerate, returning to life but with a new personality and perhaps a few new skills (although retaining the memory of their former life experiences.) Let's tackle that last part first. 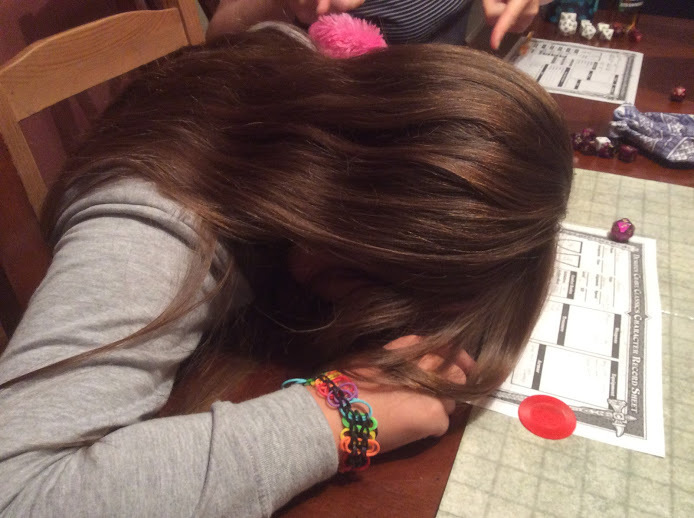 In most campaigns, when a player character dies, the GM is open to letting the new character join at the same tier, or near the same tier as the rest of the group. Regeneration is just as easy an explanation for this situation as would be a new hero joining the team. Should a player choose to be a Time Lord, however, they should take advantage of the ability to take on a new Descriptor and Focus while perhaps retaining their Type. Although the latter is not necessary, I do feel that some connection to the previous character should remain. Given the three portions of a character's build, the Cypher System offers a unique opportunity to not only play a Time Lord, but also to embrace his or her ability to change from regeneration to regeneration. Watching Doctor Who, I think one of the most entertaining parts of each Doctor is how they know just about everything there is to know. It doesn't matter what they face, or "when" they face it, they typically can pull just about any idea out of their head either on the fly or from one of their previous life experiences. Lucky for us, the Cypher System already gives us a mechanic to deal with a Time Lord's wealth of knowledge! Page 222 of the Cypher System Rulebook describes Short Term Benefits for Experience Points. By spending 2 xp, any character can temporarily gain a skill. Again, no need to change the rules or come up with something long and complicated. This is where we have to split up The Doctor from the rest of the Time Lords. A Time Lord could of course be any of the four Types from the Cypher System: Warrior, Adept, Explorer, or Speaker. For the Doctor himself (or herself… one day, right), I think that Explorer with the Technology Flavor is the right pick. The Adept seems to be magic or psionic oriented, and when I watch Doctor Who I see a jack-of-all-trades Explorer, ready for just about anything. The Technology Flavor could be used to power the Sonic Screwdriver. While a Time Lord could probably be anything they want, there are some Foci in the Cypher System Rulebook that certainly fit should you want to play a character that resembles everyone's favorite galavanting Gallifreyan. Personally, since I like to think of The Doctor as someone who doesn't rely on "psionics" or "super powers", I tried to steer clear of stuff that could be more supernatural. Some of these may push the limits, but remember that Sonic Screwdriver (or Sunglasses). If you've read this far, its time for a treat (or not, as we may disagree). For this is the part where I take all the modern Doctors and give examples of how they can be built using the Cypher System Rulebook. Since I've only been watching the show since Christopher Eccleston, and although I've seen a few episodes featuring the First and Fourth Doctors, I'm going to limit my examples to what I know. But please, if you want to help with the rest of the Doctors, feel free to let me know your builds! Ready to build some Time Lords? Allons-y! I've spent a lot of time covering how to build a Time Lord, but how could The Doctor fit into your own campaigns? The most obvious answer is to just use the Cypher System to run a Doctor Who campaign "as is." Perhaps you've picked up Doctor Who: Adventures in Time and Space but just don't want to learn another rule system (hmm… sounds familiar). If that's the case, it's very easy to grab your Cypher System Rulebook and just start throwing adventures together. 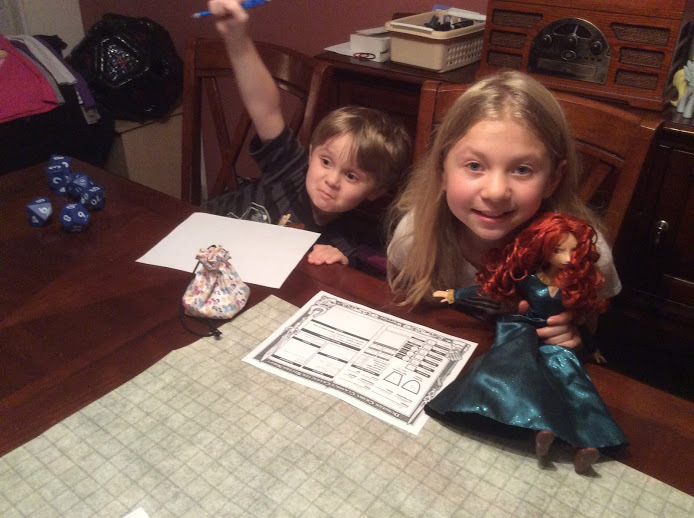 Perhaps you want to recreate a scene from the Matt Smith era of Doctor Who, and your party will include Amy Pond, Rory Williams, and River Song. Or maybe you want to tell a future tale with the yet to be featured Fifteenth Doctor. With the right table of players, especially if everyone is a true Whovian, you can have hours of fun just with the basics…. In the First Series of Doctor Who featuring the Ninth Doctor, the second episode takes place five billion years in the future. So that's a full four billion years after Numenera! Perhaps the Doctor Who universe coexists with that of the Ninth World, and the Doctor and his (or her) companions arrive just in time to deal with some aggressive abhumans near the Beanstalk. Now that Into the Night is in print, the players' Night Ship could encounter a strange, spinning blue box in the void. Just go crazy! But maybe you want to break the universes apart, and have Doctor Who exist only as fictional leakage. Maybe the TARDIS itself is a recursion, or just a single location in a particularly engaging episode. If you have a few Whovians in your gaming group, a week featuring their favorite sci-fi TV show could make for some happy players! Agree? Disagree? Ideas for the First through Eight Doctors? Let me know! Feel free to respond below with your specific builds. … or a bitchy trampoline.